Bamboo is one of the China Spice Group of restaurants in a nice environment, with excellent service and quality cooking. Bamboo offering authentic Chinese Cuisine, exotic Indian Dishes and fresh sushi at their best, in the heart of Ledra Street, Nicosia. Bamboo is the best place for Asian all you can eat buffet in Nicosia under €12.99 per person. Every Friday 7:30pm-10:30pm & Every Weekend 12pm-4pm. Incredible Dine in Offer. Chinese Set menu only €9.90 included two portions from meat or vegetable with rice (egg fried or steamed) and one soft drink or water. Last night I had dinner with my family, the food is great, especially the duck. The atmosphere was inviting and the staff were very caring. I definitely recommend this restaurant to chinese food lovers. We went to BAMBOO last weekend for my friend's birthday. The food was delicious and the atmosphere in the restaurant was fantastic! The waitresses sang happy birthday to my friend and gave us free toffee banana with ice-cream which was a lovely surprise. We would definitely recommend this restaurant and will return next time we are in Ledras Street! Superb restaurant, great service and a great offer. My wife & I dined here on a Saturday afternoon with 2 set menu & two drinks for €19.80 offer. The food quality was superb and the service discreet but good. Would recommend this offer to a friend! Have just had a fantastic meal at this restaurant at Ledras str (nicosia old town). Nektarios the waiter who looked after us was fantastic. Very knowledgeable and attentive at all times. I shared the crispy duck with my friend. Was very tasty. The fillet steak with a mild Hot Sauce for main course we're even better. Well worth a visit if you are looking for a good restaurant. food was SO GOOD!! would definitely recommend the asian crunchy salad! such amazing taste, also loved the sushi! Great food! Relaxing time after shopping!! In the heart of Nicosia..Ledras street. Reasonable prices and the waiters ready to serve you and answer anything you ask. Bamboo is a real gem in Ledra Street, the food is the tastiest Chinese in the old town. We enjoyed the beef in black bean sauce, Duck with pancakes, sweet and sour Chicken was fresh and the family's favourate! The Chicken Chow mein with vegetables tasted divine too. The ingredients are fresh and the quality of the food was really high for a quick lunch. The kids also loved the potato shreddies and the chicken nuggets, which were freshly made and not processed like in most restaurants. They also loved the toffee bananas and fresh icecream which was a real treat. 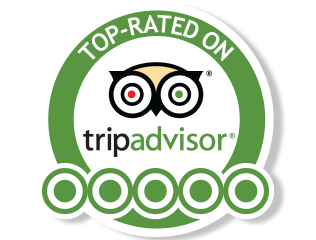 The staff were helpful and the service was above average. The restaurant is tastefully furnished and is minimalist but clean and modern with a good atmosphere. We would definitely recommend it and go back every time we are in Ledra Street. This chinese restaurant is a very good place to visit for a quick luch or a relax dinner. Take away and delivery service is available as well. The food is tasty , small variety of local wine. This restaurant its one of my first option when i want to go out on a budget. After a walk on onadagorou and ledras i go to bamboo to enjoy chinese food. The charasterictic of this restaurant is the high quality of ingredients and of course the friendly personnel. Lately they add some sushi selection. I didnt trry them yet , but on my next visit i ll try for sure. Ive been their several times.The ingredients every time fresh, high quality of meat big portions. its value for money for sure!!!!! the wallpaper they have inside is suprisingly nice. The waiters always willing to serve you with a smile. They are very sociable. This restaurant has a take away and delivery service as well. Я очень люблю китайскую кухню. Должна сказать, что она везде разная. Все зависит от того, с какой части Китая приглашают поваров. Вот и здесь оказалось, что знакомых мне блюд не оказалось. Но очень понравилась красная рыба в соусе, точно не помню названия, но вкус запомнила. И место само приятно, колоритное, порции солидные, цены недорогие.